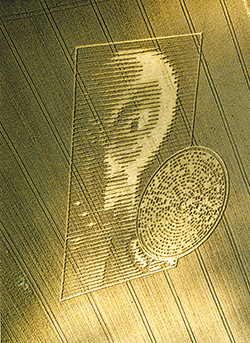 HomeAncient / AliensAlien Messages – Tesla described the event as: “one planet greeting another. Colorado springs, colorado, Nikola tesla, One of the pioneers of modern electricity Tests a device he hopes will harness the power of lightning Produced by a thunderstorm. [thunder] The machine is receiving radio signals as he tracks the storm, In an attempt to better understand weather patterns. Suddenly, a bizarre series of signals are received By tesla’s machine. Allegedly, the signals Are no longer static-covered blips. Two voices speaking in a strange language Become audible. Tesla described the event as: “one planet greeting another.” at the time of tesla’s Signal interception, the world was no stranger To ufo activity. In 1896, there was a rash Of reported sightings in the los angeles area. this happened years before lax was ever a dream. Human flight had not even taken place yet. Have looked to the heavens and studied nature In an effort to understand our place in the universe. But one elusive question remains Are we alone? people have seen ufos. People have even seen extraterrestrials. But to communicate with an alien, That would ultimately be the key to unlocking The secrets of life in the universe. some believe we have been receiving extraterrestrial Messages for millennia. 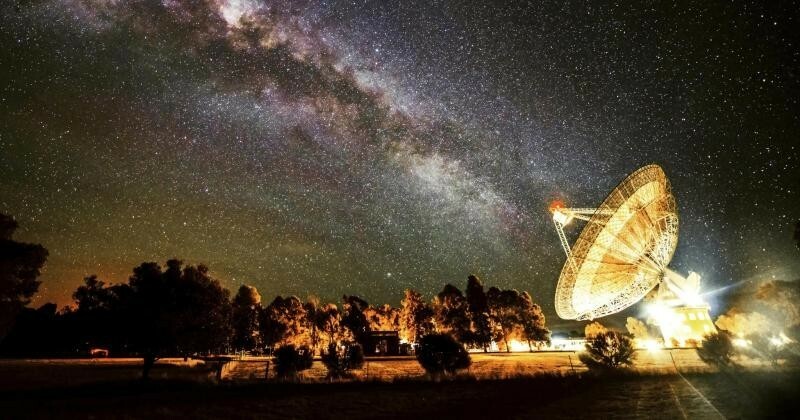 Recent evidence may reveal Signs of alien life attempting to communicate. Are they good will ambassadors, or masters of war? And are we even capable of understanding? Join us, as we expose what may be the most devastating Alien messages for all mankind, on “unsealed alien files. Secret files hidden from The public for decades, detailing every ufo account, Are now available to the public. Find out what the government doesn’t want you to know.“unsealed alien files,” exposing the biggest secrets On planet earth. Whatever was in the skies above our heads Was absolutely unexplainable. the signals received By nikola tesla’s machine are thought to be the earliest Recorded communication with an alien intelligence In the mechanical age. Did tesla accidentally Communicate with aliens? Those first signals laid The groundwork for an obsession that has haunted humanity Ever since. The largest and most complex Attempt to communicate with extraterrestrial life Began in the 1960s. Named seti, Search for extraterrestrial intelligence. The organization was funded by the american government Until 1995. From their radio telescope At the arecibo station, in puerto rico, Seti broadcasts its signal, reaching 25,000 light years Into deep space. when we decide to send A message to the heavens in hopes to communicate With an alien civilization, binary code was decided By scientists, because it really is that Universal language. So, when we sent the “arecibo Message” to the heavens, we gave details about Where we were in the universe, uh, what our human dna was like And some other details about who we are as humanity. It was the most powerful message we’ve ever sent. along with the arecibo message, nasa launches 4 probes, carrying earthly greetings, An unusual course of action for an agency that reportedly Denies the existence of aliens. 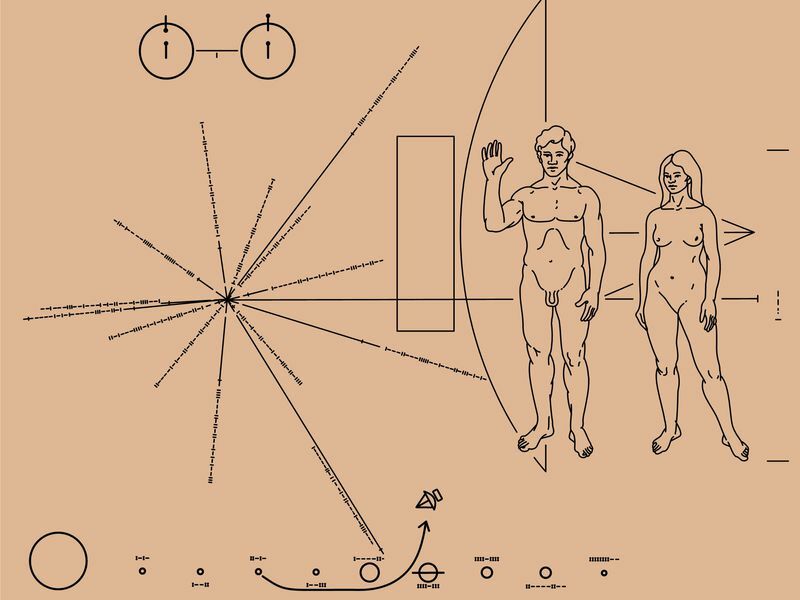 Soon after, voyager 1 and 2 Are also launched, carrying 12-inch gold records, Containing greetings in earth languages And information on human civilization. The messages have been sent, but are experts really prepared For an answer? Unsealed case file: “the wow signal. “Ohio state university, August 15, 1977. Seti is shocked to receive A brief burst of radio waves at 11:16 pm. 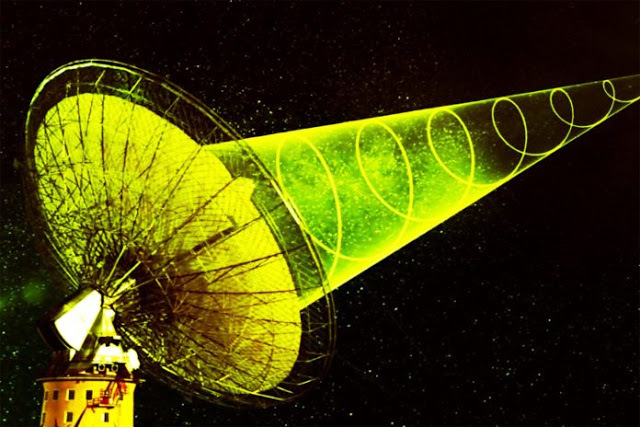 The signal is recorded at 30 times louder than naturally Occurring deep space signals. It is tracked for 72 seconds Before it disappears. The unexpected burst of sound From space is so rare, the message is dubbed “the wow signal,” by one of the technicians On duty that day. The wow signal was dismissed As an anomaly. The fact that it never occurred Again led many to believe it may have been simple Equipment malfunction or human error. But recent evidence suggests a constant signal is unlikely To occur. The amount of energy Required to beam the signal would be immense, Which is exactly why seti now sends bursts, Like the wow signal back into space. But has there been another signal since the one in 1977, Or has seti been in constant contact with alien life forms Ever since? In 1997, seti discovered Another extraterrestrial signal. It was tracked for over 13 hours, until an official Statement was released, stating the signal Was a european satellite. But was that really the case? 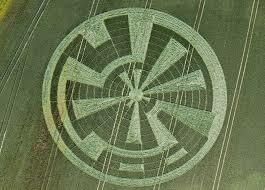 Prominent ufologist, dr.
Greer stated in a 2006 Interview, “they have had numerous extraterrestrial Signals. The signals were so numerous that they began to Have their systems externally jammed by some sort of human Agency that did not want them to continue receiving Those signals.